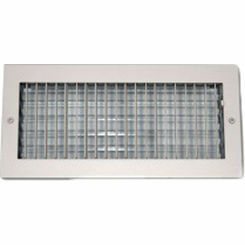 For the best wall registers and ceiling registers, you are in the right place. 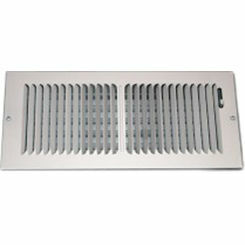 We have hundreds of choices when it comes to vent covers. With so many options to choose from, you may need to do a little research before you make a purchase. We carry floor registers, too, and of course at discount prices. 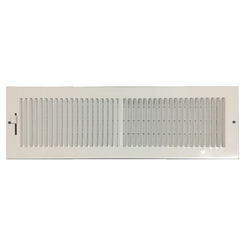 Shop and save on Shoemaker ceiling and wall registers with the HVAC experts at PlumbersStock. 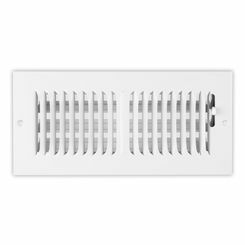 Wall and ceiling registers are air vent covers (typically made of metal) that dispense air from heaters and air conditioners. Register covers are placed over floor, ceiling, and wall vents. 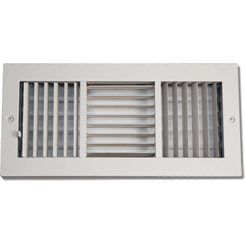 Adjustable registers allow you to manage the direction of the flow of air (within a set range), or for energy savings an adjustable vent cover can be closed. 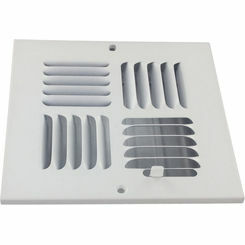 PlumbersStock recommends if you have a room that is rarely used (like a guest bedroom) that you should close the vent, and close the door to that room to avoid heating and cooling a space that is not in use. In regions with extreme weather, this measure can save you a significant amount of money. Distribute the air in any direction that is desired. 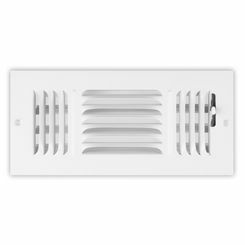 They offer both ventilation and climate conditioning to a room. 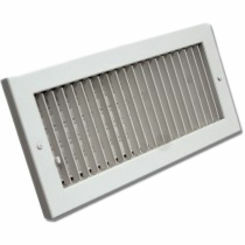 Minimizes the noise from the HVAC system. Mixes the air in a room in order to have a comfortable temperature. 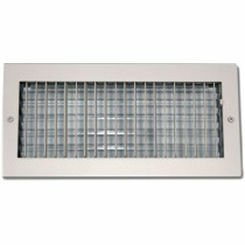 Slows the air flow, which allows the mixing of the standing air in the room with the conditioned air. Simply put, the wall/ceiling register adds a finishing touch to a room. Registers come in all sorts of sizes from small (6 in. x 6 in.) to large (58 in. x 32 in.). Registers can be found in rectangular, square, and even circle shapes. 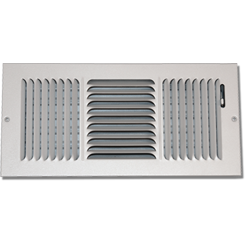 Since 1947, Shoemaker Manufacturing Company has been producing quality products for the HVAC industry. Their products range from Grills, Fire Rated, T-Bar Products, Dampers, Diffusers, Ceiling and Sidewall Registers and many more. Shoemaker is proud of their ability to be a privately owned company that produces home and commercial products. The Shoemaker Company is highly recognized for their high-quality easy to use products. No matter what size Register you need, whether for a wall or ceiling application, you can find the exact specifications you need right here at PlumbersStock. Go ahead and use the filters on the side to help narrow down the products you browse. 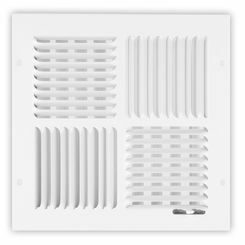 We have a dedicated staff for helping both the contractor and the Do-it-Yourselfer find the wall vent they need to complete the job. If you have any questions, please contact us, and we can help you with all of your ceiling and wall register needs.